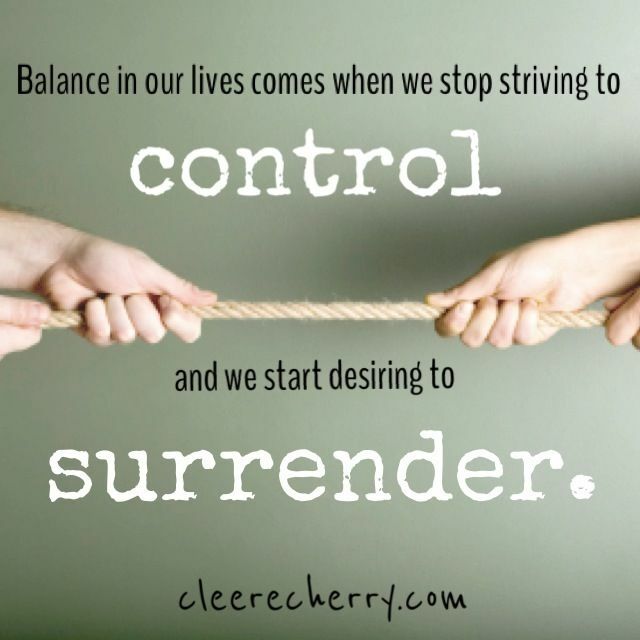 Surrender — What does it mean? After our meeting this week, Aidel mentioned an article by Dr. Tiebout about surrender and its role in recovery from addiction. For those who many not already know, Dr. Tiebot was one of the earliest supporters of AA and Bill W.’s psychiatrist too. Since surrender and honesty are the spiritual principles of Step 1, I thought that it might be nice to read this during our meeting on Sunday. Here is the abridged version of the original article written by Dr. Tiebot adapted for over eaters. Grandiosity, as structured in the psyche of the over eater, springs from the persisting infantile ego which, as in other neurotic states, characteristically is filled with feelings of omnipotence, demands for direct gratification of wishes, and a proneness to interpret frustration as evidence of rejection and lack of love. On the one side, the defiance says it is not true that I CAN’T MANAGE EATING. On the other side the facts speak loudly and with increasing insistence to the contrary. Again on the one side, grandiosity claims there is nothing it cannot master and control; on the other side, the facts demonstrate unmistakably the opposite. The dilemma of the over eater is now obvious. His unconscious mind rejects, thru its capacity for defiance and grandiosity what its conscious mind perceives. Hence, realistically, the individual is frightened by his eating and at the same time is prevented from doing anything about it by the unconscious activity which can and does ignore or override the conscious mind. With submission to a diet, which at best is a superficial yielding, tension still continues: “There’ll come a day when I lose the weight, then I can eat….”. With surrender, on the other hand, when the ability to accept reality functions on the unconscious level, there is no residual of battle, and relaxation with freedom from strain and conflict ensues. THE TOOLS OF THE OA PROGRAM are therefore designed to induce surrender to the fullest degree possible so that defiance and grandiosity actually cease effectively to function. When that happens, the individual is wide open to reality: He can listen and learn without conflict and fighting back. He is receptive to life, not antagonistic. He senses a feeling of relatedness and al-one-ness which becomes the source of inner peace and serenity, the possession of which frees the individual from the compulsion to eat. 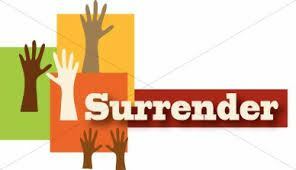 In other words, an act of surrender is an occasion wherein the individual no longer fights life, but accepts it. WITH SOME INDIVIDUALS, THE SURRENDER EXPERIENCE IS THE START OF GENUINE GROWTH AND MATURATION. With others, the surrender phase is the only one ever reached, so that they never lose the need to attend meetings and rely on outside reminders in their daily existence to supply necessary impetus to the surrender feeling, as far as food is concerned. 1 Dr. Harry M. Tiebout, was a devout believer in AA, even though he didn’t suffer from alcoholism himself — he just specialized in treating it. Dr. Tiebout was the first psychiatrist to put his stamp of approval on the A.A. Twelve-Step program of treating alcoholism, and he had nothing but praise for the Twelve Steps as a treatment program for alcoholism. Dr. Tiebout was chairman of the National Council on Alcoholism (which later morphed into the NCADD) in 1950, and served on the Board of Trustees for Alcoholics Anonymous World Services, Inc. from 1957 to 1966. Dr. Tiebout was also Bill Wilson’s psychiatrist, and he treated Bill for many years. In the mid-nineteen forties, Bill went into a deep fit of chronic clinical depression that lasted for more than eleven years. The complete collection of works entitled Dr. Harry Tiebout Papers is available on line for reading. Thank you Aidel for your wonderful suggestion! I have always wanted to learn more about Dr. Tiebot and his contribution to the AA program of recovery. Lets share our thoughts about surrender and recovery with each other. Thank you for this. So rich!